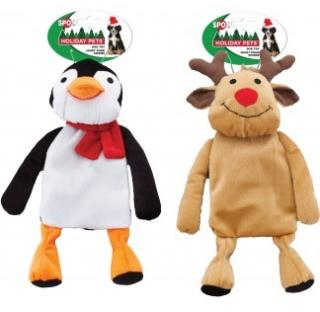 The Christmas Crinkle Crew 14" is available in 2 fun, festive designs: Penguin or Reindeer. Spread holiday cheer with these dog toys! Your pet gets the best of both worlds with this toy, a soft plush with a crinkle body.